How some of the brightest business ideas were born? How some entrepreneurs invented things that have changed our lives forever? Well, actually the answers of these questions is quite simple. You will be even amazed about how simple they are… It’s actually one simple thing all successful entrepreneurs did well to get to where they are. Have you already guessed what it is? It’s finding a solution to a problem and building a business around it. That’s all, as simple as that. Most of the great ideas of our time were born because they solve a very common problem many people suffer from. 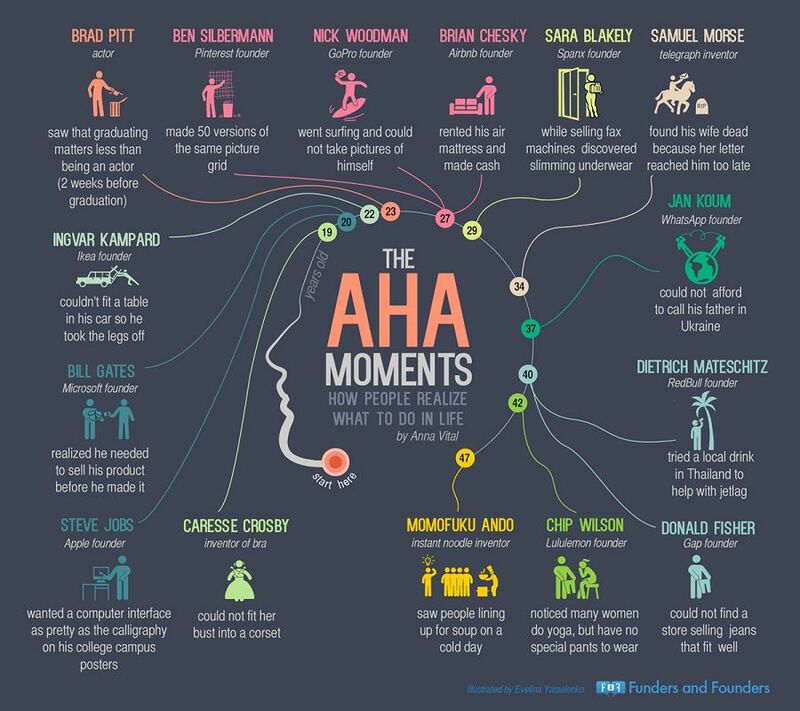 To back up my view on the matter, I will show you a nice infographic where you can see how some really successful people came up with their ideas. It’s a nice piece of work, created by The Funders and Founders Institute, here it is. How are great ideas born? It’s simple – they just solve problems. How do you find this article? Did you find it interesting? If so, please, consider sharing it with your friends on your favorite social network. This will be of really good help for this cool site. Thank you and don’t miss checking out some more of our articles.